The corn maze at Ramridge Ranch is the talk of the sixth grade. It’s a community tradition to visit the ranch in fall. In fact, folks come from miles around to enjoy some fall fun. But this year there are rumors that children are going missing in the maze—and it’s all the rage for the older kids to boast of having visited. But James isn’t allowed. His parents are adamant that he remain at home and stay safe. Ignoring his parents, James sneaks off to navigate the maze alone, thinking he’ll only be gone a few hours and they won’t be any the wiser. It doesn’t take long before James realizes he might just have made a terrible mistake. This creepy novella is the perfect read before Halloween! Karuna Savoie has placed interesting characters into a familiar setting readers can see and smell and even feel. In addition, the plot of this story is no ordinary creepy thriller. James’ decision will take readers on a thrill ride as they navigate the twists and turns of events at Ramridge Ranch. 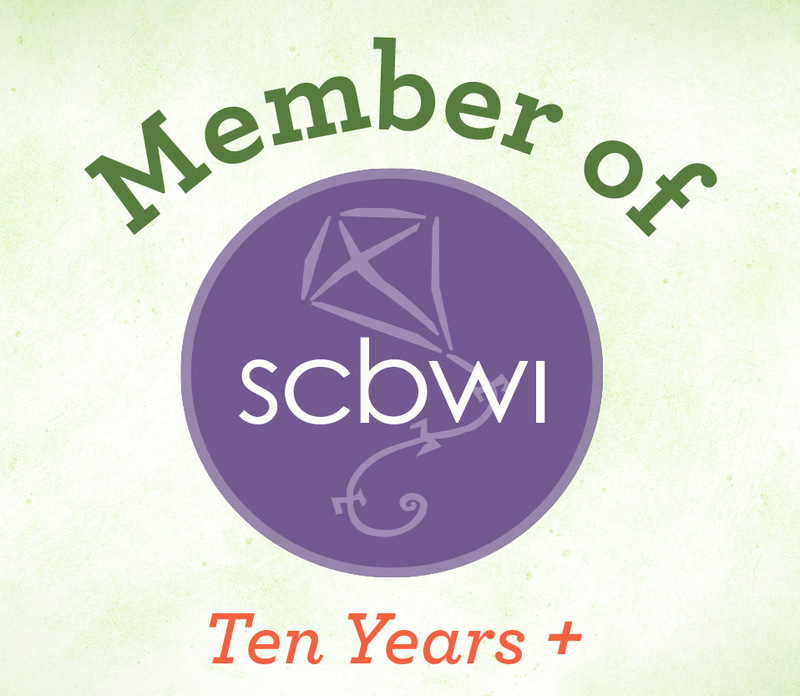 Karuna Savoie is an amazingly talented young writer. Fortunately for readers everywhere, she’s got a brain full of story ideas to share with the world. I can’t wait to read the next installment in the Lore of Ramridge series. Full disclosure: Karuna is a client of my editorial business, so I have had a hand in polishing this book. I don’t write reviews for all of my clients, but Karuna’s amazing imagination and writing skills make The Lore of Ramridge the great read that it is, so I felt I could give an honest review. Keep your eyes on her. She’s a writer who’s going places. Daughter of Egyptologists and superpower wielding Nefertari Hughes is at it again. Halfway through her senior year in high school, Terry’s got some major life decisions ahead of her. The rest of her life is looming and Terry and her best friend Maude must decide what they’re going to do next. Unfortunately, their choices aren’t exactly what their parents had in mind for them, and they’re both avoiding that reveal. Soon, mind a jumble of thoughts and emotions about the future, Terry’s wrapped up in another big mystery involving Cleopatra’s legacy. Is it right for Terry to involve her friends and boyfriend in the danger that seems to follow her? Is she taking foolish risks because of her powers or is she simply a victim of circumstance? I enjoyed this next installment of the mysteries–I especially loved the way Maude seems to be coming into her own as the series continues. I’m looking forward to finding out what happens in the next installment of the Nefertari Hughes mysteries. Book Two of the Hit the Ground Running Trilogy, Blue Moon Publishers, September 2018. Eric Bakker, his brother, and his friends continue their quest to find Eric and Michael’s parents. As their quest takes them across the North American continent the stakes get higher, with more scientists missing. In possession of an ancient book and increasingly desperate to find their parents, Eric and Michael pursue leads that take the entire group across the Atlantic. At the same time, they’re fleeing the Vidi, a group of immortals bent of wiping out anyone with the knowledge of the book and its contents. In Europe, they must use the group’s considerable skills of navigation, research, languages, technology, and parkour to penetrate secrets kept for hundreds of years, or risk losing their parents forever. 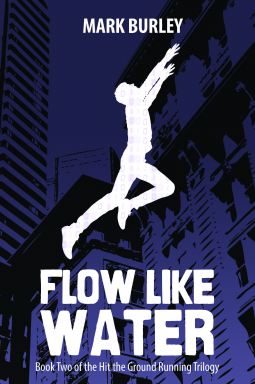 Flow Like Water is even more adventure-packed than Hit the Ground Running (though it does contain less parkour). The cracking adventure continues with an appealing and very human cast of young people. The reader’s understanding of the mythology is deepened, and the story is enhanced by two separate legs of foreign travel—great for armchair travelers like me. Even as some mysteries are resolved, still others are deepened. I can’t wait to see how the series will conclude in the final book. In The Call of Cthulhu, Dave Shephard sets a classic horror tale originally written by H.P. Lovecraft into a more linear form than the original story. This works well for readers, using a narrator to help us understand how events at diverse locations around the world are related. The illustrations evoke the darkness of the tale and the horror of the idea of a huge malignant power sleeping beneath the seas. Cult members serve it, and when awakened, Cthulhu will call more aliens from the stars to wreak havoc on humans on Earth. I think this is a masterful rendition of the story that may well create new H.P. Lovecraft fans. It’s a wonderful addition to the Dark Tales graphic novels series and a great place for readers who love horror to begin their summer reading. The illustrations are detailed and intriguing and the story will spark the imaginations of its readers. Other books in the Dark Tales Graphic Novel Series from Canterbury Classics include The Call of Cthulhu, The Snow Queen, and Beauty and the Beast. I received a copy of The Call of Cthulhu from the publisher in exchange for an honest review.